K International are experts in providing professional translations for written and spoken communication in German, the most widely-used language within the European Union. With over one hundred million speakers throughout Europe – rising to double that number when including those who speak it as a second language – German is fast becoming the unofficial language of mainland Europe. It is also the third most-learned language in the world, and among the top five most used on the internet. America is also home to a large proportion of German speakers; German-Americans are the largest ethnic group residing in the United States, and a quarter of all tourists visiting America are German speakers. The Germany education system has a rich tradition of valuing the learning of international languages, and it is incumbent on those of us who are non-German native speakers to afford German the same respect. 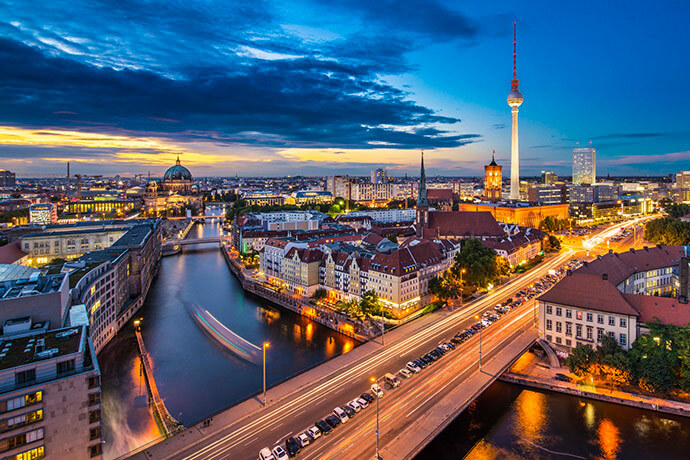 With Berlin increasingly seen as the continent’s monetary powerhouse, ease of communication in the language of Germany, Austria and Switzerland, among others, has never been more important. Our team of professional linguists who will handle your translation work will all be native German speakers, meaning your original message and style will retain their intended effect and sound natural to German readers. K International provide you with your own personal account manager, meaning you will always have a named point of contact for any queries regarding your translation account. We will ensure that your completed translated text is ready for immediate use. If special design and layout requirements are necessary, our team of design experts will meet your needs. K International are fully audited for quality assurance and data security standards, holding the accreditations ISOQAR ISO 2001 and BSI ISO 27001. For larger projects, our translation management platform, Tracklingua, is your one-stop on-line portal to submit texts for translation, receive completed work and track the progress of your order. With Tracklingua, clients can manage entire orders, including texts requiring translation into multiple languages, without needing separate quotations each time. German as a language is closely related to English; however, its use of gendered nouns and word order are greatly different. Professional translation is essential to avoid jumbled-up communication. Compound words being joined together without spacing are common, this results in some fantastically long words being fairly commonplace in German, especially within government, law and administration texts! Following its origins as a language with a range of distinct dialects, grammar and spelling rules in German have been standardised since 1905, though there have been some modernisations to spelling in this time. The three gender forms (male, female and neutral) remain to this day. While German is a language with established and firmly logical rules, the gender forms follow no such logic – the words for ‘girl’ and wife’, for example, are gender-neutral (“das”). Clearly, educated guesswork will not be enough to communicate professionally in German! We have a skilled German desktop publishing team made up of in-house designers and typesetters. Creative German layout conversions of your documents or even complete re-designs to suit your overseas audience are no problem. Take a look at our dedicated desktop publishing page for more information.